Ocean Life Aquatics is an established aquarium service company, specialising in custom tank design, installation and maintenance services. We started by creating the new brand for Ocean Life Aquatics and once completed designed and developed the website. Due to the nature of their business, for the design, it was important to use bold imagery. We achieved this by using large background images that they could upload and change themselves on each of the individual pages, this helped to create the impact required to showcase the quality of the work that they carry out. 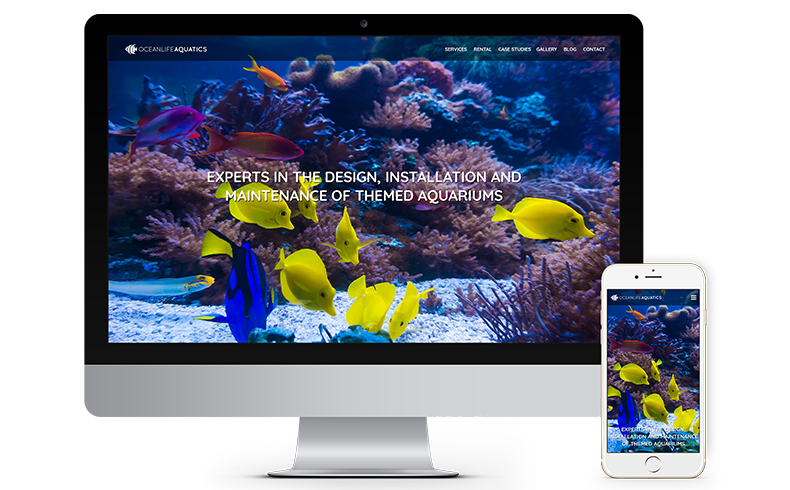 The site was then developed in WordPress, as this would allow Ocean Life Aquatics to add/update the content on the site, including adding blog posts and creating case studies to further show off the amazing custom designed tanks they create.